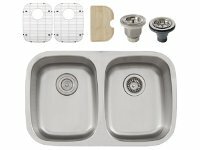 This small radius undermount sink is made of 18-gauge 304 stainless steel with a satin polished finish. 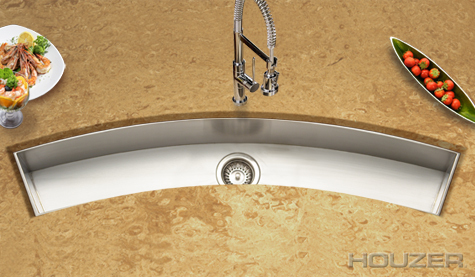 It features small radius corners, side and bottom seams, and stylish drain grooves for improved functionality. It is reinforced with sound absorption pads and coating. 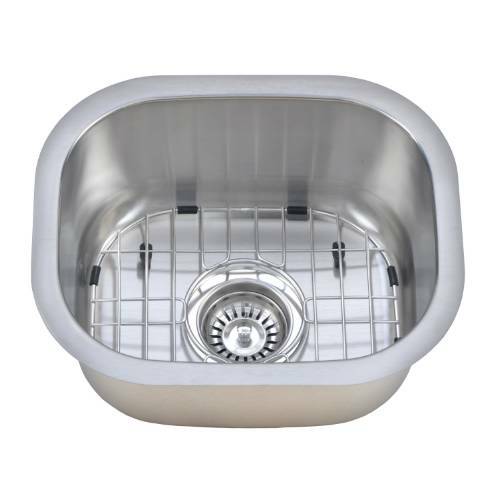 Accessories include the basket, bottom grid, colander, cutting board, and tray to enhance performance. This sink is long-lasting and easy to clean. Package Dimensions: 36-13/16" x 22-13/16" x 13-3/16"